The holiday season is truly the most wonderful time of the year, unless of course you’re the person that’s climbing up and down that letter all day. Green Leaf Lawn is here to ensure that your holiday decorations look great and you don’t even have to lift a finger. Green Leaf Lawn’s professional Tulsa holiday lighting installation experts serve the Tulsa area and surrounding areas. We will install for residential, commercial, hospitals, shopping centers, and just about everything else under the sun. Our Tulsa Holiday Lighting Installation experts are here to help you know matter what this holiday season. We will make any home or business look great and are installers are ready to help you with anything you might need related to Christmas light installation. Give us a call today at 918-640-6405 for more information on the services we can offer you. Our basic lawn maintenance services will have your lawn and shipshape order. We will mow all lawn areas weekly during the growing season. This service includes trimming, edging, and blowing all trimmings off your lawn and concrete areas when we’re finished. We expect all Green Leaf employees to pick up trash and debris from the lawn areas before mowing. We also handle all her own weed and fertilization treatments. Please visit that section of our website for all the programs and information you need. Our website is www.greenleafweedcontrol.com. We can be all bad areas and tree wells to keep them free of undesirable vegetations. Weeding includes removing all foreign weeds and grasses. There are a number of different services we offer throughout the year. Along with bed maintenance, Green Leaf can also prune and trim shrubs. Shrubs will be trimmed to be kept in general shape, removed from walks, and clear of Windows and air-conditioners. We can fertilize your beds and and shrubs in the spring and fall to promote healthy growth. It’s not necessary that many of our customers like to have their grasses and crape Myrtle’s cutback each spring. We can trim ornamental trees, crape Myrtle’s, and ornamental grasses each spring in preparation for their new growth each year. Scalping is the process of cutting off the dormant grass each spring before the growing season starts. This will remove all the dead grass that has kept the root insulated all winter. It will also enable the sun to warm the ground more quickly and give your Bermuda a jumpstart on greening up and promoting healthy growth. Leaf removal is a service we offer through the fall months. Depending on where you live you may only need the service once or multiple times. Our services include removing your leaves from the property and your flowerbeds. For year-round color we can oversee Bermuda grass with riot in the fall. We also recommend that you have any shape or fescue grass in your lawn that is over seeded each fall as well. Every Christmas season, Greenlawn provides dazzling outdoor holiday displays that will transform your property into a winter wonderland. Share good times with family and friends at home, and leave the work to the Green Leaf Lawn’s experts. Our fully insured services include Tulsa Holiday Lighting Installation, extension cords, maintenance, and removal of the lights at the end of the season. All you have to do is make the call at 918-640-6405. Relax this time of year enjoy the holidays while we make your home, trees, and pathways look more beautiful than ever before. Our services include professional design, installation, takedown, storage, energy-saving bulbs, and so much more. 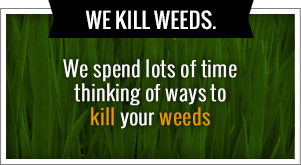 Visit our website today to learn more about our company at www.greenleafweedcontrol.com. Green Leaf Lawn knows grass! Few things in the home landscape generate as much pride is a manicured lawn. We will make sure yours is taking care of and is a lush green that will look absolutely gorgeous. Grass is one of the few plants in the world that actually thrives from being cut. Because grass grows best friends cut regularly, a consistent lawn mowing schedule is very important. A lawn looks best when it is trimmed and well-maintained, but maintaining your lawn goes beyond trimming. Over cutting or undercutting your lawn can affect the growth rate of the grass at the overall health of the lawn. Are cutting services include lawn cutting, edging, trimming, and blowing of driveways and walkways. Contact us for a free on-site evaluation of your lawn and get a jump start on making your home looking credible. 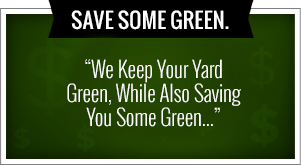 When it comes to lawn care, the experts at Green Leaf Lawn does it all. We are a full-service company that utilizes state-of-the-art lawn care equipment on every job that we service. For a more healthy looking lawn than you ever had before we recommend that you call us now and see what Jamie Nix and Josh Mathias, the founders of the company can do for you and your home. We want to be the company that you trust whenever you need Tulsa Holiday Lighting Installation and expert lawn care. A healthy, green, lush lawn is generally the result of a good, consistent fertilization program. Very few soils are fertile enough to supply the nutrients that plants need in order to thrive. The soil in most areas has become so depleted over the years that fertilizers and other additives must be used to achieve a healthy looking lawn. All of our lawn care programs include techniques that are designed make your lawn look more healthy than ever before. We only use the finest products and quality nitrogen fertilizers that contain controlled release nitrogen. A healthy, green, lush lawn is generally the result of a correct fertilization program. Let us get started on your lawn and make you the envy of all the neighbors this year and many years to come.